In 2018, electric cars will finally turn the corner from curious niche product to become a viable option for America's families. Next year will mark a turning point in the ultimate electrification of America's roads. 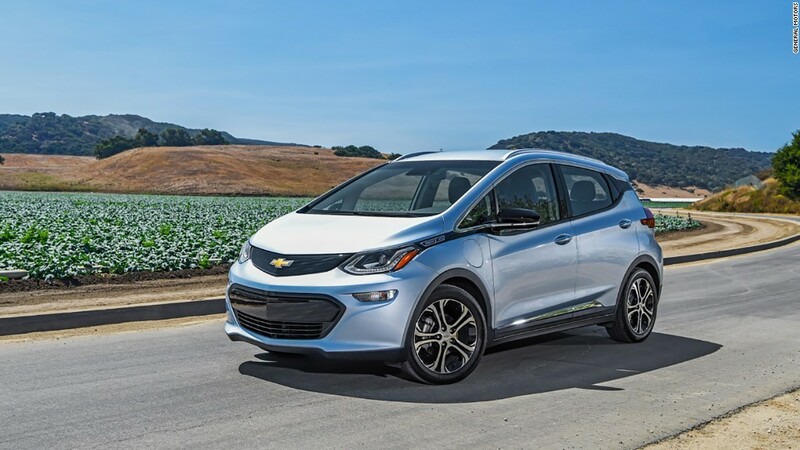 The Chevrolet Bolt EV will be widely available for the full year next year. 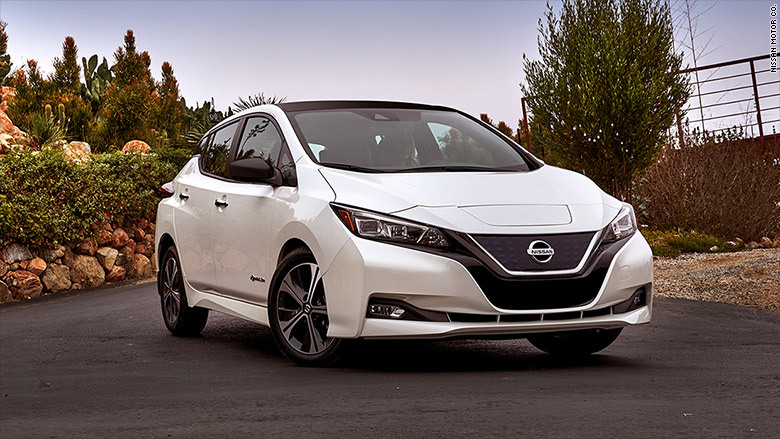 The Nissan Leaf will, initially, have shorter range than the Bolt EV but a lower price, too. The redesigned Nissan (NSANF) Leaf is also just entering production. For now, the Nissan Leaf isn't going head-to-head against the Bolt EV, since it doesn't go as far -- only 150 miles on a charge. But it also doesn't cost as much, with a starting price in the U.S. of under $30,000. A version of the leaf that will be closer to the Bolt's range and price is expected to come later. 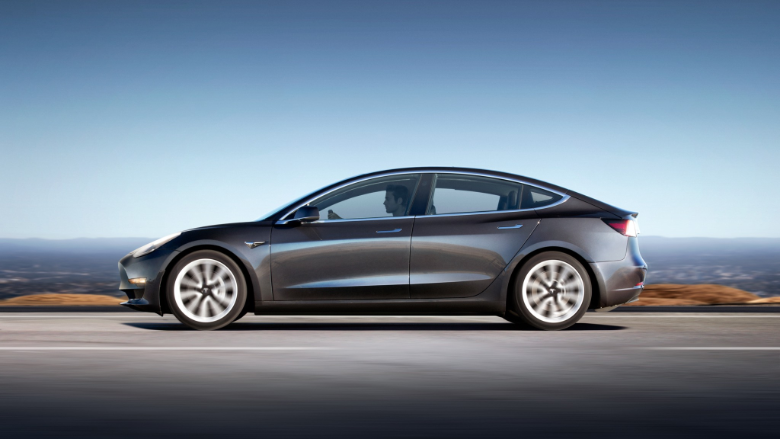 The Tesla (TSLA) Model 3, with a starting price about the same as the Bolt EV, was supposed to be leading the charge for the mass-market EV. But something went wrong. Tesla has struggled to make the car -- only 260 had been produced as of October. That's given GM (GM) a long lead in the marketplace. Still, if it can get its production troubles behind it quickly enough -- something that remains far from certain -- Tesla could handily outsell either Nissan's or GM 's electric cars, despite Tesla's far more limited dealer network. Tesla has been having some trouble producing the Model 3 but, once that's over, sales should be brisk. Each of these three cars are helping to change consumer attitudes about EVs. Tesla has transformed the idea of what electric cars can be, making them intriguing and desirable. 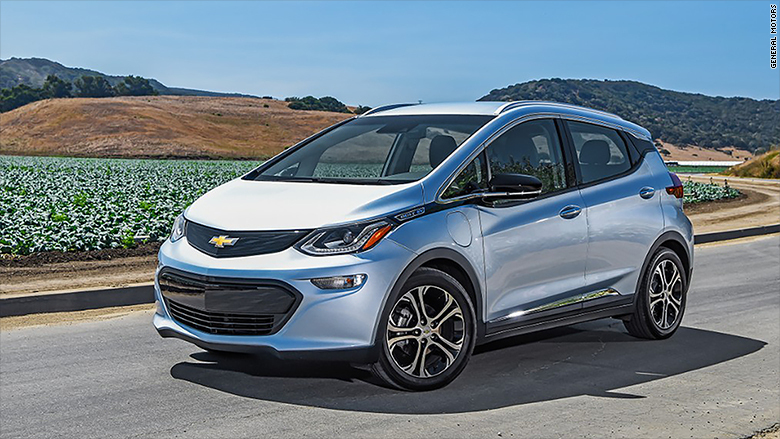 The Leaf and the Bolt EV show that these cars are accessible -- they can be purchased from the same dealer that sells you a pickup truck, not just from a start-up car manufacturer. One remaining wrinkle is the $7,500 federal tax credit that manufacturers are counting on to help sell these electric cars. That incentive survived the Republican tax overhaul, but the full credit will begin to phase out after each manufacturer sells their first 200,000 electric cars. And GM, Nissan and Tesla are expected to hit that number some time next year.